This is a small Minecraft Forge mod that provides some utilities for explosions. TNTUtils can be installed on a server without the clients requiring it. Do note that custom explosions from other mods may or may not be affected by this mod. The features are fully configurable. I Found an issue, the DropChanceIncrease doesn't seem to do anything when set to [1.0]. Thanks for noticing that, fix is coming soon. Can I share this mod in the chinese minecraft forum(MCBBS)? I send a BUG to your Issues. It can't compatibility to sponge. Would it be possible to make Creepers still damage things like walls and dirt... but not entities like machines and chests? Or is it just a blanket damage reduction for them? Yes, disabling explosion damage to tile entities is one of the options. Yes. Only damage done by explosions is affected. The 1.8.8 version of the plugin is not working, can you please release a 1.8.8 version that works, it would be much appreciated. can this mod be configured to allow block breakage while disabling destruction? The part I hate most about creepers is that you cannot retreive all the blocks they blow up, not so much that they blow them up to begin with. Yes, you can modify the chance that explosions drop a block they destroyed. But it applies to all explosions, not just from creepers. 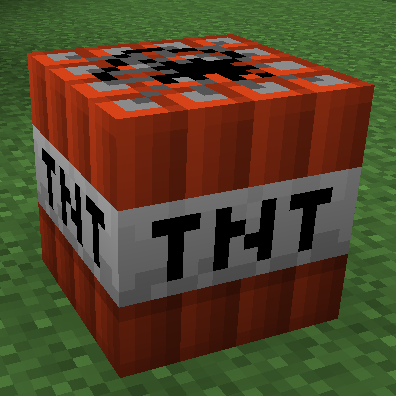 just realised you already had answered that..
"Increase the chance that a destroyed block will drop as an item"
I try to use this mod to prevent creeper destruction, but the disableCreeperBlockDamage doesn't prevent them from destroying item frames. ljfa.tntutils.exception.InvalidConfigValueException: destructionBlackOrWhitelist: Invalid block name: "minecraft:item_frame"
I tried with various syntaxes and nothing got accepted. That is because internally, item frames (as well as paintings and armor stands) are not actually blocks, but entities. They just kind of behave like blocks. I'm afraid right now there is no solution other than disabling explosion damage to all entities.